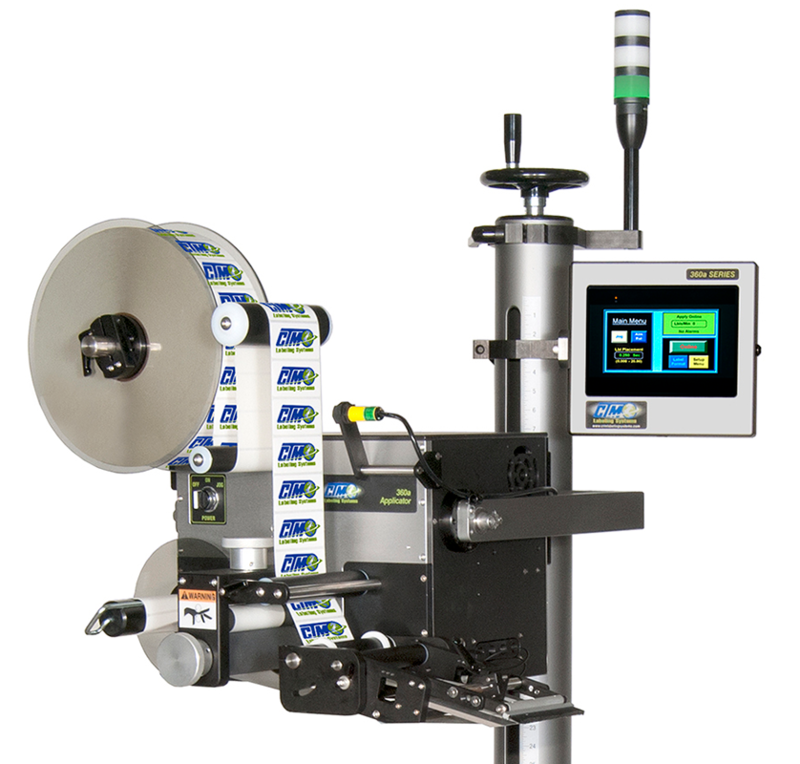 Engineered to minimize the overall applicator size for those “tough to reach” labeling applications. Stepper drive motor will dispense up to 1500 inches per minute of dispense speed. 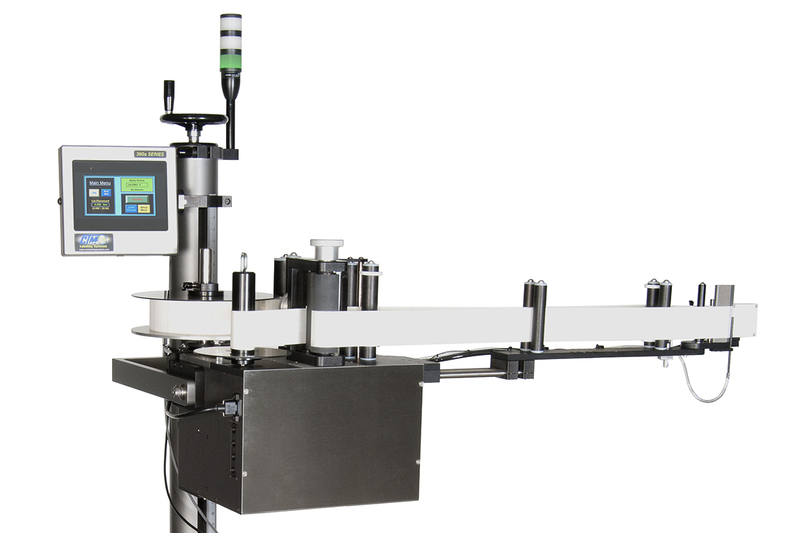 “Auto Teach” label set-up for label length, label stop and label sensor sensitivity. Labels per minute rate indicator. Totalizing label counter for data management. 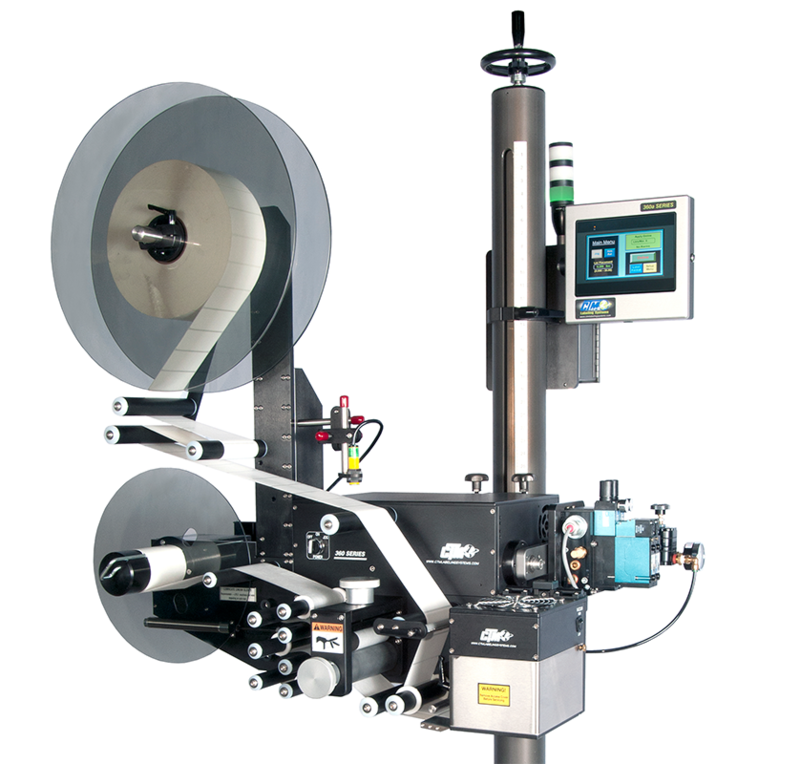 Programmable to 1500 inches per minute, in excess of 100 labels per minute depending upon size. Retroreflective scanner provided as standard; plc signal from form, fill and seal unit may be used; custom inputs available.